When you’ve found your perfect first home and your closing date is finally in sight, it’s easy to get caught up in all of the anticipation and excitement that accompanies buying a new home. 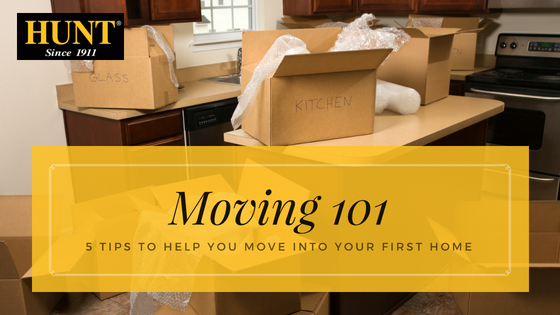 Don’t forget the next step, though – pretty soon you’re actually going to be moving into your new home, and you want to make sure all of your belongings easily make the move with you! Here is a checklist of things you should do when moving into your first home. Do your research. Are you going to use a moving company? If so, make sure you do your homework. 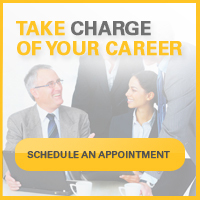 A reputable company should be licensed and insured. Once you choose a trustworthy moving company, be sure to then familiarize yourself with the company’s list of non-allowable items (which can include aerosol cans, cleaning solvents and fire extinguishers. Did you know? 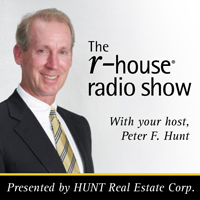 HUNT Real Estate has a home services concierge available exclusively to HUNT clients – The Realty Club, which can suggest approved vendors for your move. Know your measurements. Measure your rooms so have an idea of what furniture will fit. Another good rule of thumb is to familiarize yourself with ceiling heights. Nothing can be more frustrating than trying to fit a bed up the stairs only to find the ceiling is too low to fit the frame. Be flexible with your move date. Moving and truck rental companies are busiest between the months of May and September. If you move during the peak season, try to plan to move during the week as opposed to a weekend. Trucks will have more availability on weekdays and can also cost less. Pack a bag of essential items. Your important items may not be readily available in your new home right away, so make sure you pack a bag with essential items you can use during the move-in period. This should include a few different outfits, toiletries, any medicines you need, and any pet essentials if you are a pet owner. Planning and preparing ahead of time will be beneficial to a smooth and low-stress move, and will leave you free to enjoy setting up and moving into your new home!